Newsletters keep subscribers informed about your business and brand, all while building a trusted relationship. 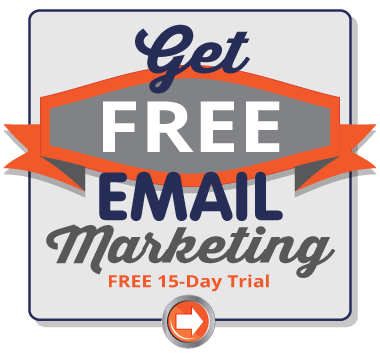 Sixty-eight percent of markets believe newsletters are the most effective email message in their arsenal. While many companies produce and send newsletters, it’s not always easy to come up with content ideas for them. To help you create can’t-wait-to-read newsletters, we’ve compiled a list of 30 ideas for your newsletter that you can use to inspire fresh and fun content. Create content that’s relevant to your audience that helps them accomplish something with step-by-step instructions. For example, a furniture store can offer an article about how to remove pet stains from furniture. Does your product require maintenance? If so, provide maintenance tips in your newsletter. Top 10 lists are popular because they’re easy to read. Create a list of valuable tips, most popular articles on your blog or money-saving ideas that refer to your business. 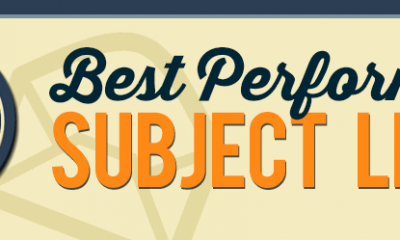 Use a tool like Canva to create a cool infographic for your newsletter. Turn your year-end sales numbers into a cool chart, or provide customer satisfaction ratings and comments in a visual way. Create a post that offers a roundup of your company’s best blog topics or most popular social posts. It’s a great way to repackage content that already exists. Surveys can help businesses collect valuable information, but response rates can often be lackluster. Remind customers about your survey and its importance in your newsletter and provide a link to it. Collect a few customer reviews on a specific product and share them in your newsletter. Start out by explaining the product, offer a picture of it and show subscribers what others are saying about it. Use your newsletter to invite or remind subscribers about upcoming events. Tell customers about events, charity drives and exclusive sales. Create an event on Facebook so guests can RSVP and include the link in your newsletter. Planning to attend a trade show? Advertise the details in your newsletter. Include a picture of last year’s booth, explain what’s new this year and provide valuable information like the most affordable place to park. Tell customers a piece of your company’s history. You can add a tidbit in each newsletter, create a timeline or write a longer piece on the company’s anniversary that covers the big milestones. Have the owner craft a letter for the newsletter. The letter could thank customers for their support, provide goals for the upcoming year or talk about a new product the company is about to offer. Customers need to hear from those in charge now and then; it helps maintain a trusted relationship. Pay tribute to a special employee by highlighting him or her in your newsletter. Keep it short and sweet, but provide enough information to show customers that your staff is top-notch. Always include a picture of the employee. What are the top five questions that your secretary or sales team receives each week? Use the information to create a frequently asked questions post for your newsletter. If the company has a new boss, a renovation is taking place or the company is changing the way it does something, use your newsletter to update customers. If customers are complaining about a particular aspect of your business, address it in your newsletter. Explain what you’re doing to make corrections. Keep it positive, ask customers for their patience and make every effort to fix the problem quickly. Break out a video camera and provide a short tour of your business for customers to check out in your newsletter. Whether you’re teaming up with a local charity of the business next doors, tell customers how the partnership benefits them in your newsletter. Give customers a look behind the scenes by posting pictures of employees moving massive inventory for the holiday season, or a shot of your team stocking shelves. You can promote social initiatives in your newsletters too. It’s a great opportunity to cross-promote your business and encourage subscribers to become part of your social family too. Are you giving away something cool on Facebook? Remind your customers about it in your newsletter. Provide participation details and a link to enter. Add a brief “Follow Us” section to your newsletter that includes all of your social links. Tell subscribers that you’re trying to hit a certain number of followers to encourage them to like your pages. Ask subscribers to submit photos of themselves using your product, or submit a short essay about a loved one that should be considered for a special prize. Launch the competition in your newsletter and remind subscribers to participate. Offer a coupon just to your newsletter readers. Provide a coupon code to use online, or a printable coupon that can be used in-store. When you have a new product coming in, tell your customers about it. Build the hype by providing availability, release dates and options like sizes and colors that are available. 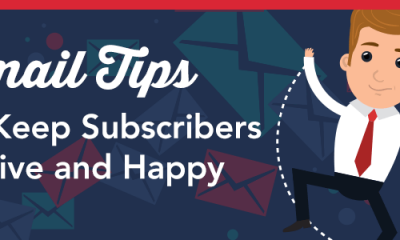 Allow subscribers to forward your newsletter to a friend, and if they subscribe to your list, send the customers a special deal or discount for helping you grow your list. Loosen the tie, or kick off your heels. Your newsletter doesn’t have to be stuffy. Create some out-of-the-box content too. When an odd holiday rolls around that’s connected to your business, use it to spark a small post in your article. For example, a bar can write an article on National Margarita Day and offer a discount. Here’s a list of odd holidays to use. Did your company host a Halloween custom party? Are you hosting an Evening with Santa? If so, use a few of the pictures in your newsletter to give subscribers a “glimpse behind the curtain.” Be sure to get permission to use the photos first, and use good judgment. Pictures from the 11th hour of the holiday party aren’t a good idea. 27. What’s the deal with the weather? At some point, the crazy weather will impact your area. Consider writing about it and how it impacted your business. Be careful, though. Don’t write about any storms or weather that hurt someone, stick to interesting weather topics like the lack of snow in cold weather spots. Does your business have a pet or a mascot? Use a picture of your furry creature to liven up your newsletter. Put the company cat in a cute holiday sweater, or give it a birthday crown when the business hits its anniversary. Use online tools to create an ecard. You can create one for the holidays or the company’s birthday. Punchbowl offers traditional options. Try JibJab for something a little more out of the ordinary. Use a pop culture reference to spark an article about your company. For example, an article like, “5 things the hit ABC show Scandal has taught us about business.” Make a connection to a hot TV show, a celebrity mishap or musical fads. You want subscribers looking for your newsletter. To do that, you need to create content that’s interesting and intriguing. Using the ideas above, you’ll be able to do just that. 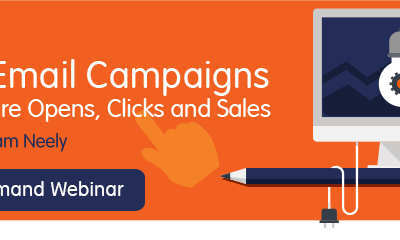 Create awesome newsletters with Pinpointe’s all new Drag & Drop Campaign Builder.